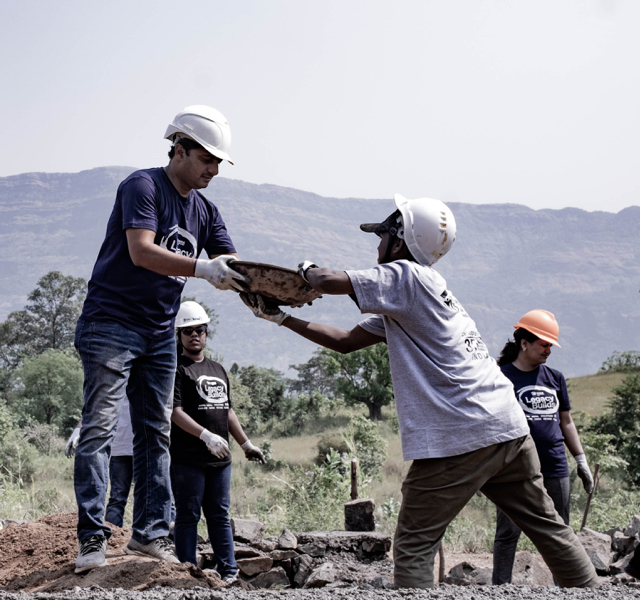 Join a group of dedicated people from all over the world in building homes for families across India. You need no special skills, only your time and a strong desire to make a tangible difference to someone’s life. It is some time off with a difference. Having more helping hands for even a week or two accelerates the construction schedule exponentially. Giving your time helps families move into their new homes faster and allows us to channel our funds into more projects. We have jobs and tasks for all skill levels and abilities including construction, beautification, running errands and touch-ups. You can also contribute by sharing expertise or specific non-build skills. It would help us allocate more funds towards building homes. You will visit a remote part of the country, and interact with families and other volunteers from around the world while providing shelter to underserved communities. Through your willingness to partner with people in need, you will learn about their stories and their circumstances. It opens minds and changes the way people view the world. You will form a once-in-a-lifetime bond with other participants and community members as you travel, live, work, and eat together, often in simple settings. Volunteering in remote parts of the country is different from a tourist trip. You will get an insight into the customs and lifestyle of localities that tourists rarely witness. Our collective efforts are transforming people's lives. Read their stories. Volunteer with us and help build a home for a family in need. in need of decent shelter.